The Kalispel Natural Resource Department (KNRD) is responsible for advancing the Kalispel Tribe’s sovereign interests in fish, wildlife, water, and other natural resources. KNRD’s duties include not only managing natural resources within the Kalispel Indian Reservation but also working with federal, state, and other conservation partners to promote the Tribe’s sovereign interest in natural resources throughout its aboriginal territory. One of KNRD’s primary areas of concern is mitigating adverse impacts to natural resources caused by Albeni Falls Dam (AFD). AFD has prevented native fish from migrating upstream since it was constructed in the 1950s. 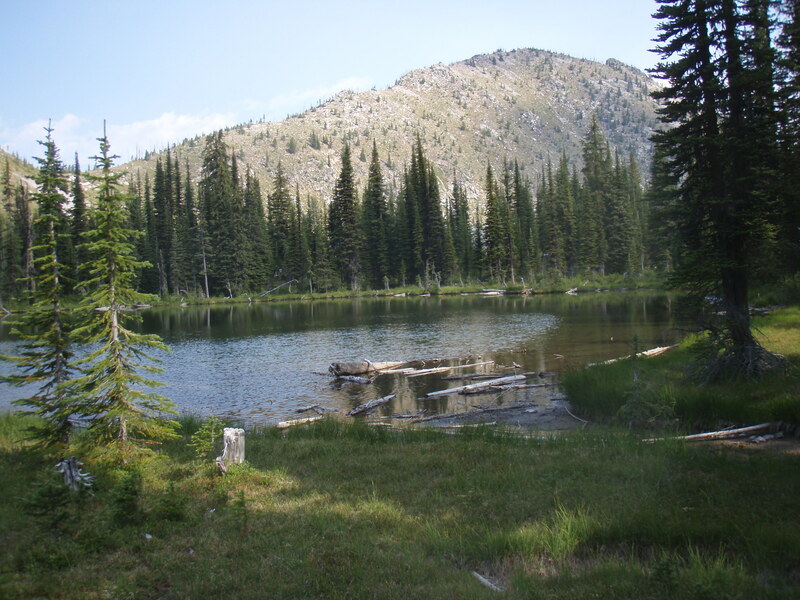 This lack of connectivity with Lake Pend Oreille has eliminated populations of bull trout and westslope cutthroat trout that historically spawned in tributaries to the Pend Oreille River on and near the Reservation but otherwise lived in the lake. The loss of these native fish populations has now severed the Tribe’s connection to its most important traditional Reservation fishery for more than half a century. AFD has a host of other adverse ecological impacts as well. These include the permanent flooding of wildlife habitat, reduced water quality, shoreline erosion, and many more. In 2012, the Kalispel Tribe entered a Memorandum of Agreement (MOA) with the Bonneville Power Administration (BPA), U.S. Army Corps of Engineers, and Bureau of Reclamation to fund mitigation efforts related to Albeni Falls Dam. The MOA provides the Tribe with approximately $40 million over 10 years to help meet the federal agencies’ obligations under the Northwest Power Act and Endangered Species Act. KNRD uses this funding to conduct a wide variety of projects for the benefit of native fish, to improve wildlife habitat, and to acquire land as mitigation for lost wildlife habitat. Some key projects performed with MOA funding to date include temporary upstream fish passage measures at AFD, data collection to inform permanent upstream fish passage at AFD, retrofitting of the Kalispel Tribe’s fish hatchery to accommodate coldwater species, non-native fish suppression, shoreline restoration, cottonwood gallery restoration for the benefit of native animals, and vernal pond restoration for the benefit of native amphibians. Since 1992, KNRD has acquired 3,480 acres in fee status as mitigation for lands lost or impacted by the construction and inundation of Albeni Falls Dam. This includes the 770-acre Big Meadows property in Idaho and the 550-acre Indian Creek property south of the Reservation. The MOA also establishes a partnership between the Tribe and U.S. Army Corps of Engineers to complete an upstream fish passage feasibility study at AFD. This study is nearing completion and discussions about funding options are ongoing. The MOA does not make the Tribe whole for impacts related to AFD, but it does provide the Tribe with funding to exert its sovereign interests in natural resources on and off the Reservation. KNRD’s natural resource management efforts under the MOA will likely take several decades to provide their full conservation potential, but the hope is that tribal members will begin to enjoy better fishing and hunting opportunities in the near future. That is the fundamental sovereign interest KNRD is working to advance.